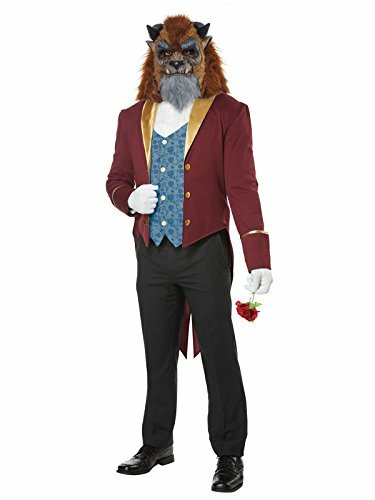 Beastly and beautiful — the Storybook Beast men’s costumes brings a classic fairytale character to life this Halloween. Dress to impress with the tail coat’s gold lapel and button details. Show off your sensitive side with the printed blue rose design on the vest. Class things up with the pure white cravat. And try not to scare trick-or-treaters too much with the included faux fur mask! Shop men’s Halloween costumes with Costume SuperCenter now.